Neo Wei Woon has 21 years of experience in dealing with a diverse and fast-paced training environment as an instructor, trainer, facilitator, coach, and training developer. His expertise includes exemplary leadership skills, effective communications, team learning and team building, conflict management, presentation skills, and WSQ curriculum development. He is recognised for excellent problem-solving and facilitation skills in organisational learning, learning development, and being a proactive listener with critical-thinking skills. 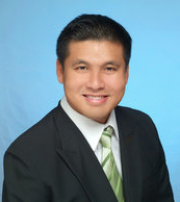 Wei Woon is also an internationally certified TetraMap facilitator by founders, Yoshimi and Jon Brett in 2012. He uses TetraMap as a cornerstone in his programme design and will also be conducting seminars and talks on interviewing skills, resume writing, and TetraMap’s effectiveness. Having a life doesn’t mean living a life. Imagine that you are a seed, covered with earth, showered with water, and given ample sunshine and air to grow. Nature functions in the simplest, yet efficient and amazing way. Using nature’s Elements of Earth, Air, Water, and Fire as metaphors, TetraMap is simple, memorable, and highly applicable in our daily life. It is simple and yet powerful tool for communication for all levels of people. There is no need for complicated understanding and structure to support it. What it offers is a sustainable way of connecting with people without imposing on the organisational structure. Less is more for TetraMap and I can share many ways of how TetraMap can be assimilate into all management and leadership programmes. Come! Live Your Life the Tetra Way!